They say a picture is worth a thousand words; in this case it may be worth thousands of dollars! You’ve probably seen a lot of infographics and cartoons being used to illustrate marketing concepts, but the bar has been raisedundefinedreally high. How about a whole book on marketing and selling (for people who don’t like marketing and selling) that is almost entirely made up of illustrations? Learning how to market yourself just got much easier. We all have different learning styles and sometimes just reading or hearing something isn’t enough, with this book you will be able to visualize how the concepts work and how they fit together. 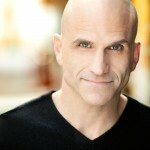 New York Times bestselling author, Michael Port, is the distinguished guest for the August 15, 2013 Reach Personal Branding Interview. Michael will be discussing his newest book “Book Yourself Solid Illustrated” in an interactive, one-hour interview with William Arruda, founder of Reach Personal Branding. Called “an uncommonly honest author” by the Boston Globe and a “marketing guru” by The Wall Street Journal, Michael Port is a New York Times Bestselling author of four books including Book Yourself Solid, Beyond Booked Solid, The Contrarian Effect, The Think Big Manifesto and the all new Book Yourself Solid Illustrated. Michael is also The Global Business Mentor for ReebokONE and can be seen regularly on MSNBC. He receives the highest overall speaker ratings at conferences around the world because he hits his mark every time and leaves his audiences a little smarter, much more alive, and thinking a heck of a lot bigger about who they are and what they offer the world.